Best known for their super cool, printed unisex leggings Tobias & The Bear have extended their collection to include rompers, tops, grown-up styles and bedding plus several collaborations including a very cute one with Miffy the rabbit! 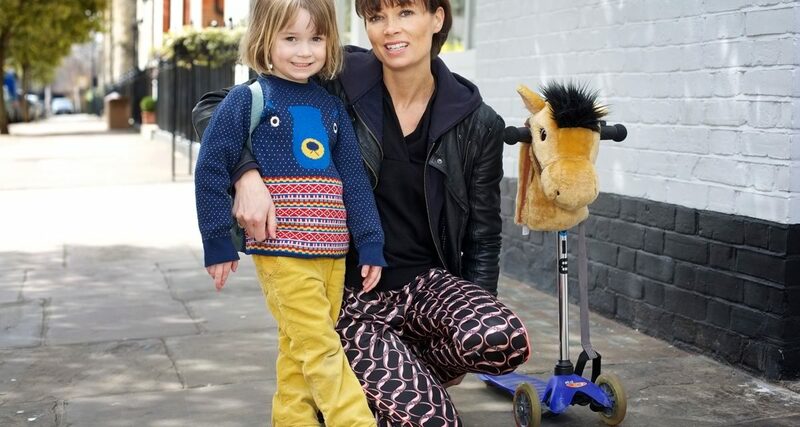 Tobias & The Bear was founded by two mums with fashion backgrounds – both mothers of boys who weren’t happy with the available selection of comfortable, cool boy’s bottoms. We love their leggings which wash well, last for ages (even in the white prints! ), are super comfortable and loved by little ones and parents alike. A newcomer to the market, Claude & Co was set up by Abi Dakin, an ex childrenswear buyer for Next, in 2017. Abi could see the gap in the market for non-gender specific clothes and accessories for little ones and aimed to fill it. We love the earthy colours, timeless styles and fun details which have made the brand fast become one of our favourite unisex clothing brands. Most pieces are available in sizes 0-4 years. A unisex brand for little ones made using all GOTS certified organic cotton fabrics which are kind to sensitive skin. The mostly monochrome collection introduces a new muted colourway each season – right now it’s a cool khaki – and is made up of stylish graphic printed pieces. The quality is fantastic for the affordable prices with t-shirts from £14 and rompers from £20. A fun exciting brand that’s steadily growing each season with bold prints – that unlike many unisex specific kid’s brands – are full of colour rather than mostly monochrome. 2018 has seen the introduction of bold fruit, crab and bright leopard prints in the brands signature leggings, rompers, harem shorts, vests and t-shirts. All are designed to be completely comfortable for children to wear for play. And the prices are exceptional for the quality – each piece is handmade – completely dispelling the myth of independent brands being costlier. Modern, fun pieces for babies and kids, The Bonnie Mob is a company committed to sustainability and their pieces are practical and hard-wearing as well as super cute. The jersey, organic cotton and knits are soft to touch and the prints and styles are unique in babywear. The prices are a little more expensive than high street but because the quality is tip top (we spoke to testers who’d passed pieces down through two children and were still keeping them for any future arrivals as they’re nearly as good as new) and we love the company ethos they’re one of our favourites. Top tip, sizing can come up a little small so opt for the next size up. An award winning unisex brand, the Tootsa focus is on fun, practical styles and it’s another where all of the cotton, knitwear sweatshirts and jersey are made from 100% organic cotton. We’ve always loved Tootsa for little ones but they also recently launched Tootsa Tots, designed specifically for babies and toddlers – the cutest summer rompers, tops with envelope necks, trousers with reinforced knee patches, comfortable elasticated waistbands and drop crotches to allow for nappies – which makes us love them even more. A range of organic GOTS certified baby clothes this is a one-stop shop for gender neutral new baby pieces and gifts. The sleepsuits are in our Top 10 Organic Babygrows list but we love the cute ‘word’ tops too. The whole collection works as a capsule baby wardrobe in greys, neutrals and soft mustards and teals. A welcome addition to a world of mostly pastels. Possibly the coolest unisex designer kids brand ever and one of the fastest growing. The prices are a little more premium than some but it’s great quality and creative with its quirky prints from baby bodies to older kidswear. Swedish designed with the aim of making it easy and exciting for parents to shop for kids, the very first collection (back in 2006) was a complete sell out. Since then it’s gone from strength to strength and loyal customers look forward to new season styles being unveiled. Jools Oliver’s latest range for Mothercare is possibly her best yet. The range is successful each season with its signature primary brights and retro seventies styles that have felt a little more nostalgic of late – especially the newborn collection with it’s cute knits, terry all in ones, smocking and bloomers. 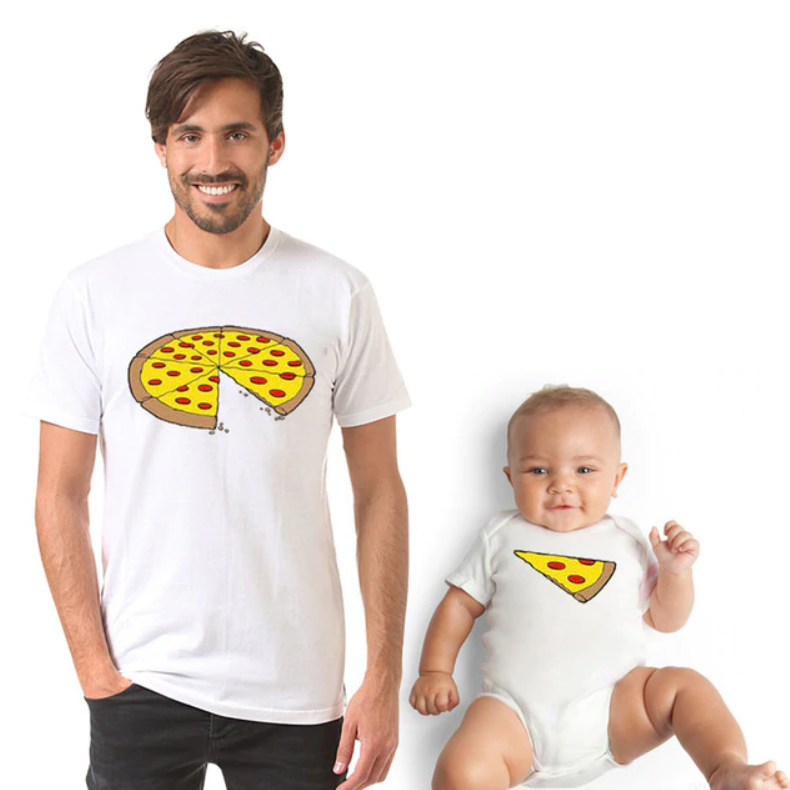 It’s a classically childlike brand, kids dressing like kids and babies dressing like babies. We approve. And probably the best of the gender-neutral brands in terms of value for money. The second Mothercare range to make the list and for good reason, the high street store is leading the way with its unisex ranges. 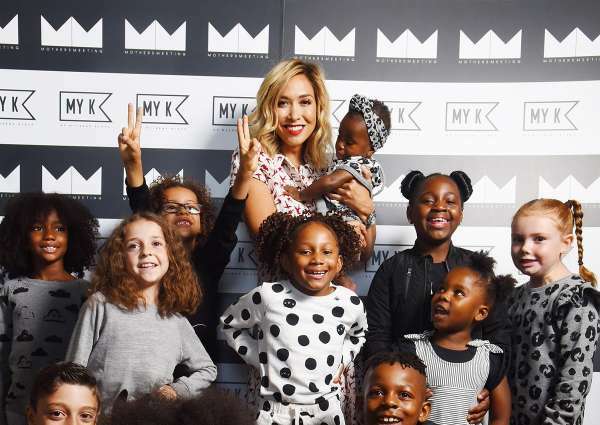 The newly named My K by Myleene Klass is another super successful high street collab and very different to Little Bird. My K is a mostly monochrome collection with hints of soft blush pinks, graphic prints and cute slogans. The whole collection makes a cute capsule wardrobe which is ideal for everyday, nursery and playdates alike and, again, it’s great value for money. On the high street Mothercare is a clear winner with both its Little Bird and MyK ranges. In terms of designer collections Mini Rodini is our favourite premium option. But for everyday we’re spoilt for choice, all of the independent brands we’re featured are doing exciting things but Tobias & The Bear are a great start for quality, cool, fun unisex options and were one of the key brands paving the way in gender-neutral kidswear.